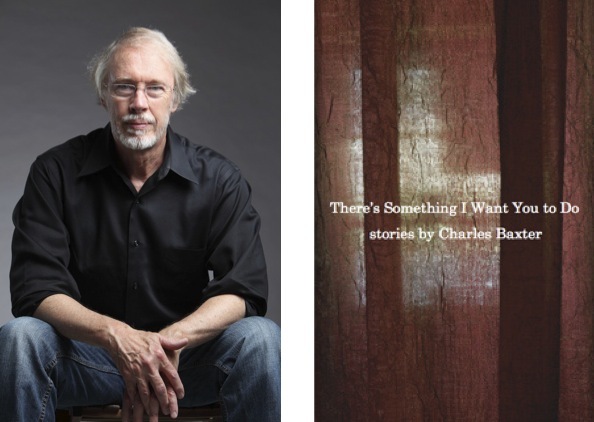 Last month, as part of the Crazyhorse Reading Series at the College of Charleston, novelist and story writer Charles Baxter read from his newest collection, There’s Something I Need You to Do (Pantheon Books). 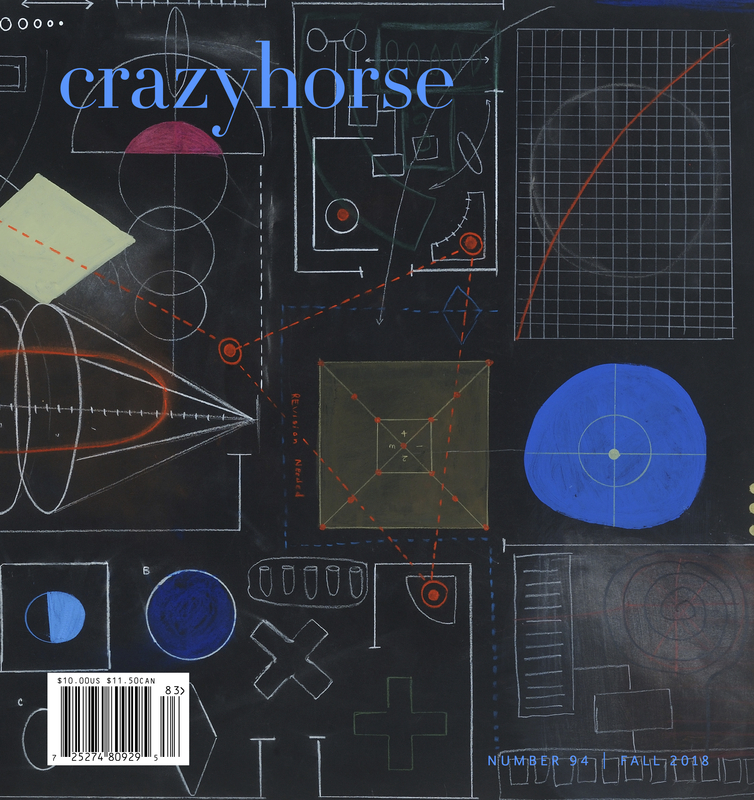 To commemorate his visit—he spoke to the collected graduating seniors in creative writing, and then read to a packed house in historic Randolph Hall—Crazyhorse is honored to post the mini-interview below. Mr. Baxter, one of the premiere writers of fiction in the country, and one of our all-time favorite writers, period, gives us in this newest book a collection of ten stories, the first five of which are titled by virtues (“Bravery,” Chastity,” and etc. ), the second five for vices (“Lust,” “Avarice,” and etc.). The stories are, as ever, beautifully written resonant one to the next, and feature a cast of recurring characters who appear with both virtue and vice. As with all his work, he tells in each story many stories at once, heading in places one cannot divine at its outset, but which, because the prose is so strong, so sure, and because the characters are so compellingly drawn, you’re willing to follow; at each story’s end, you understand you’ve arrived somewhere important, somewhere meaningful and filled with wonder, but definitely somewhere other. This is why his work is so very much celebrated, and so very valuable. Of the work, the Washington Post has written, “Charles Baxter’s sixth book of short fiction . . . shows him as a master of the genre and highlights what finely crafted short stories can accomplish better than any art form.” We couldn’t agree more. CH: While here at the College, you talked about how, when you were a couple stories in, you saw that this book could be a “decalogue,” a very specific word rife with moral associations. How many stories had you written—and especially what about those stories—gave you to know this was the word by which you could see this becoming a complete book? CB: I had thought of The Decalogue, a brilliant series made for Polish television by that genius, Krzysztof Kieślowski. I bought DVDs of the series and watched them over and over again, and I had also admired the “moral tales,” (also movies) of Eric Rohmer, such as Claire’s Knee. Kieslowski’s Poland was obviously a Catholic country, but his views were remarkably complex and by no means orthodox. What interested me was the possibility of moral tales without moralism or didacticism. Moral tales have almost disappeared from American writing because so many writers are worried about preachiness. But you can write about how people live, and what they decide to do at critical moments, without making judgments about them while still enclosing them in a moral landscape; you can leave all the judging to the reader. I knew I had a book after I had written two or three such stories. After that it was easy. CH: As with The Feast of Love, you have characters in this collection of discrete stories whose lives brush up against one another now and again, both tangentially and sometimes straight on. Was this originally a part of the plan going into the collection, or did characters simply arise on their own terms? And to what do you attribute this willingness to let characters swoop in and out as you do so deftly? CB: I had indeed used that technique in The Feast of Love and then promptly forgot that I had done so once the book was published. I didn’t think of having the same characters pass back-and-forth between the virtues and the vices–a kind of ecology of characters–until someone suggested the possibility to me. This “someone” was an undergraduate at Penn State, Erie, and he was in attendance at my reading there. After I read “Loyalty,” there was a Q&A, and I was talking to the students about what I had in mind for the book, and this kid, Kyle Kerr, said, “You should have the same characters in the vices that you had in the virtues.” And it was as if a light went on. Bingo! Thank you, Kyle Kerr, wherever you are. I like the mixture of randomness and fate that you get when you have the same set of characters brushing up against each other in story after story. It can create a beautiful effect. CH: At the reading you gave here at the College, you chose to let us hear a section (a very funny one) from the story “Chastity” that in fact did not appear in the book. The audience enjoyed the piece a great deal, but can you tell us what led to its being excised, and how it feels to say goodbye to what you know is a fine passage of your own work? CB: There’s that old phrase, “Kill your darlings.” Self-love, or pride in your work, can’t excuse putting in a scene or a passage into a novel or a story if it doesn’t belong there. In the case of the scene that I read at the College of Charleston, the tone was wrong. The story “Chastity” is actually very serious, although the central female character is a joker; her would-be lover is constantly rebuffed by her irony and jokiness. The story is the darkest one in the book, the one that took the most out of me, the one with the most sweat and blood. The trouble with the passage that I eliminated from the story was that it was too light-hearted, and the tone didn’t mix properly with the rest of the story. You don’t need to have an absolute uniformity of tone in a story, but a story can’t do eight different things at once. CH: Which of the stories proved to be the easiest to write, the one that (if indeed there was one) seemed to come to you all on its own, and what was that experience like? What was the one that proved most difficult, and well, what was that like? CB: “Chastity,” as I just noted, was a terribly difficult story to write. I invested my own heartbroken longings into it. Behind it, deeply shadowed, were several episodes from my own life that were converted beyond recognition and put to use in that story. “Avarice,” which I’m quite proud of (and which is narrated by a woman), was possibly the easiest of the stories to write. All I had to do was show up faithfully at the desk each morning for several days in a row. The story just wrote itself. I felt I was taking dictation from that woman. CH: And of course, the obligatory last question: What are you working on now? CB: I have some ideas, but I’m really just trying to recover and regroup after my book tour. I’m not complaining, but those tours take a lot out of you. Besides, I don’t think writers have to start something new immediately after their previous book is published. Productivity may be a good thing for factories, but for artists it’s absolutely secondary to quality. You have to wait patiently for the angel to descend. If the angel doesn’t descend, you eventually go to work anyway. There are always paths, if you can find them; there is always something to do.